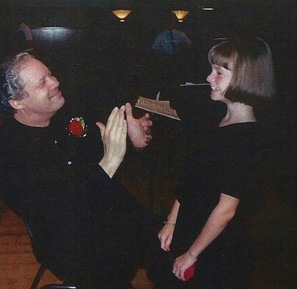 I started conducting youth ensembles some twenty years ago. After a while, teachers told me that they were amazed by the level of playing and the amount of improvement that was achieved in so short a time. They consistently asked me how I achieved these results. The key to what I was doing came to me when a teacher sitting in on a rehearsal said I spent almost no corrections. Instead, I led the students to experience ensemble participation as a personal journey...and helped them realize that the rehearsal process was as much about them and their personal growth as it was about the music. It became clear that real growth and the highest level playing was only possible when students were fully engaged. ​Researching the needs of music ensemble leaders and learner-centered education (LCE), and with the invaluable help of Dr. Anne M. Fritz, I learned that LCE - despite its proven pedagogical superiority - was rarely applied to music. LCE then became the lens through which I viewed working with young musicians and their teachers. Ignite Response will be available in print and e-book formats in Spring 2017; in the meantime I'm sharing excerpts from the book on this website so you can try them out. I can make the book as useful as possible if you would kindly let me know what works for you and what doesn't; I'll be so grateful for your feedback.